When I was little I liked to go into the woods by my house. 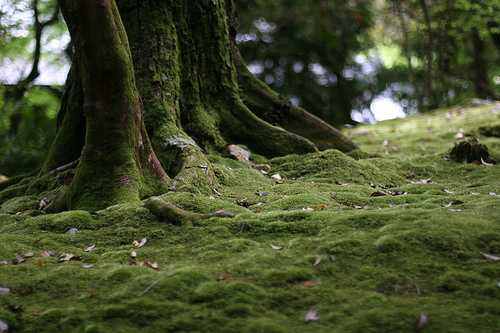 I would sit on the moss and imagine that there were fairies in the woods. I called it my secret place. A place where I could dream of the magical fairy lands that I read about in books. 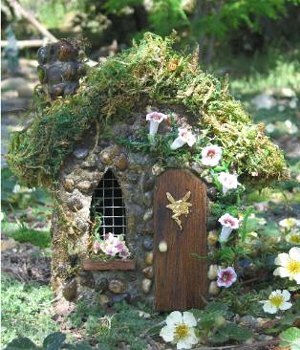 My Mom is an avid gardener and she has many little fairy touches in her gardens. By our tree in the backyard is an opening where you can step out into the field to reach the woods. I was there not long ago and stood in that opening, remembering. I'm certain that all the pretend and make-believe shaped me into the creative soul I am today. 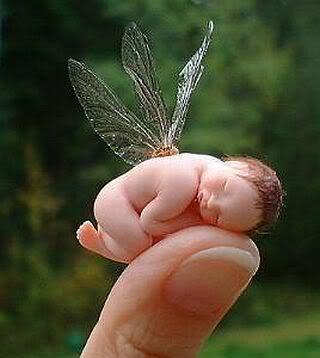 I'm very glad I had those woods back then, my secret place and my fairy dreams. Hi Renee, What a magical place that must be. It's amazing how our past was used to mold us into the creative souls we have become. Thanks for stopping by my old blog and checking on me.I am in the process of restarting my blogspot blog as a crafts blog and hope you'll stop by and maybe even update your side bar (once again). I have alot of creative things whirling around in my head. Oh, I do miss having woods behind my house. Yours are magical indeed! Oh how I loved playing in the woods too!! It was just something about going in there, good memories :) Hope you have a good holiday weekend! Renee, I enjoy your posts so much. No doubt you are correct that having an imaginative Mom influenced who you are. I rejoice with you at those special memories.